This gallery is dedicated to the 18 historic armories in the State of Rhode Island and Providence Plantations. These armories have serviced the state from the American Revolution through to the present day. 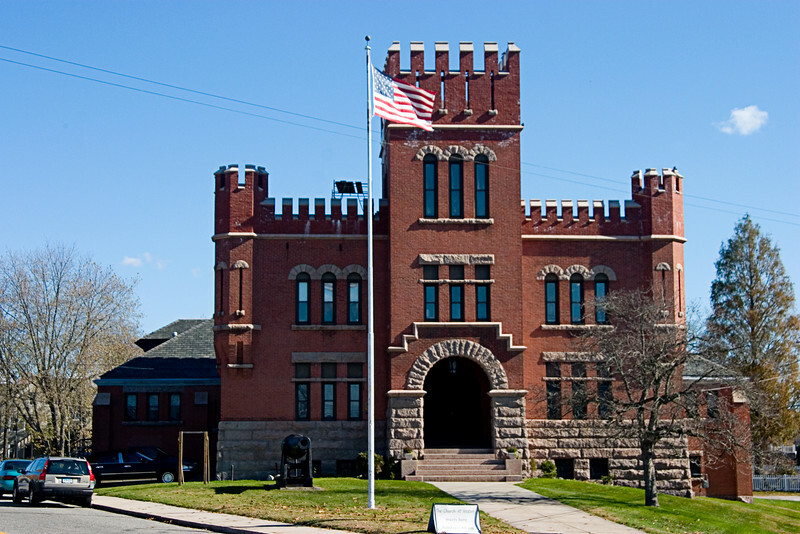 The Westerly Armory was built in 1902 on the corner of Railroad and Dixon Streets in Westerly, Rhode Island. In 1908 the Coast Artillery Corps of the Rhode Island National Guard was formed. The Corps served in World War I but was mustered out at the War's conclusion.